During the First World War tanks only had a couple of requirements such as being able to cross an eight foot gap and reaching top speeds of 4mph on flat land. By the time the Second World War began, Allied forces were still using outdated tanks designed for trench warfare; while Germany used their Panzers in the blitzkrieg part of the war. Germany’s PanzerKampWagen I was capable of reaching 23mph and was armed with only a machine gun. Hitler wanted to avoid the stalemate of the First World War and instead came up with ways to break any defenses that would stand in Germanyâ? ?s way. If anti-tank guns were more advanced and the Allied forces had similar tanks we can assume that Hitler wouldnâ? ?t have moved as fast throughout Europe.Â In modern warfare battle tanks are an essential weapon and it is only obvious that they must be routinely improved to avoid surprises such as the lighting war Germany employed. Although this type of technology may sound like fiction, it is has already been invented by researchers from Rafael Advanced Defense Systems and Israel Aircraft Industriesâ?? Elta Group. The Trophy system is a temporary forcefield that defends against RPGs. When an RPG hits a tank head on, the warhead blasts a jet of hot copper at 1,000mph. Thatâ? ?s enough to cut through a foot of solid steel amour! You can understand why it would be very useful to disable a warhead before it hits a tank. The Trophy system works by creating a temporary forcefield when a rocket is detected. A supercapacitor releases its charge into the metal amour of the tank and neutralizes an RPG in the air; by the time the RPG hits the side of the tank, it is already useless. This technology actually requires the same amount of electricity you use to start your engine on a cold morning. Recharging the supercapacitor is also fast and efficient. Battle tanks protected by the Trophy system can withstand repeated attacks from RPGs that would usually destroy tanks without thisÂ technologyÂ many times over. The best part is that there is less than 1% chance of injury to nearby soldiers when RPGs are neutralized in the air. With the use of this technology the weight of tanks will be able to be reduced by 70% over the next decade. 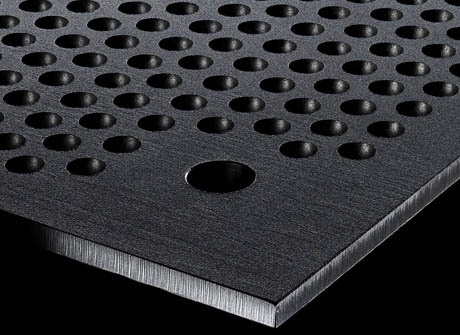 By drilling holes into steel armour the Defense Science and Technology Labortory has been able to halve the weight of armor while making it more efficient. This new armor is called Super Bainite Armour steel. With the addition of holes in the steel, bullets are more likely to strike the edge of a hole, causing them to spin and effectively reduce projectile potency. While the Trophy system can protect battle tanks from rocket grenades and other explosives, Super Bainite armour can better protect tanks from bullets. With theÂ implementationÂ of both technologies, tanks may become very light in the near future. Science may not be ready for hiding objects in plain sight, although it is ready for its infrared equivalent. Infrared is used in night-vision goggles and aircrafts that show targets in hot and cold. It is used to identify enemies and vehicles during the night. Adaptiv is a new battle tank technology developed by BAE and the Swedish Defence Material Administration. By utilizing over 1,000 5.5 inch hexagonal tiles capable of manipulating thermal signals; Adaptiv is able to deceive infrared devices. Adaptiv can completely blend in with its surroundings while stationary or while on the move. It would look a bit dubious if infrared shows nothing in the spot that you heard or saw something; so Adaptiv is also able to give off a heat signature of a car while blending in the rest of the tank. The way this technology worksÂ hasn’tÂ been revealed, though we can guess that the hexagonal tiles probably heat up or cool accordingly to create this illusion. Since the titles are relatively big, the best effect is when the tank is observed from 300 to 400 meters. Adaptiv is also able to give off heat signatures of a cow, trashcan, a crowd of people, and even text. The best part about this technology is that it can be used on ships, helicopters, and more. Adaptiv certainly looks very promising, except for the fact that it also looks easily damageable. NuMat technologies recently developed new fuel tanks that are able to store the same amount of gas at one-fifth the pressure. The new material has trillions of pores which absorbs gas. With this new technology the cost of battle tanks and refueling stations could be reduced by 20-30%. A very big improvement when you look at hundreds of battle tanks that require reinforced fuel tanks and fueling stations. This technology is expected to enter the market within five years. 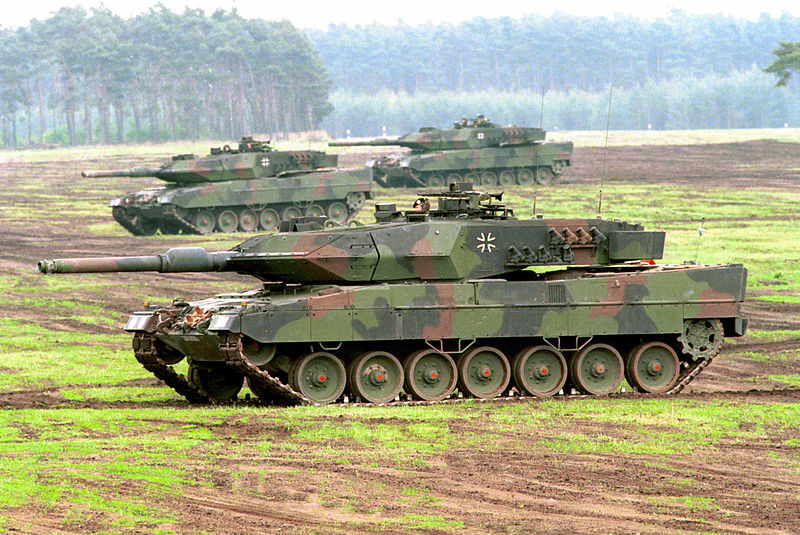 What is the most expensive tank in the world? Click here to find out. I must say that if I watched these videos before learning this technology is actually real, I would have thought it was all just a ploy. I’ve been suckered into some amazing looking stuff before, only to find out it was a trick http://www.pomegranatephone.com/ You would think they would say (INNOVATIVE IDEA ONLY, DON’T GET TOO EXCITED!) Man, I was ready to rob a bank to buy that phone even if it would have cost $200,000. But it’s not real 🙁 Just a darn advertisement for Nova Scotia. Can you believe it? I am still genuinely upset about the whole deal. Nice article. Forcefield technology being actually possible is mind blowing! That advertisement for Nova Scotia sounds annoying. I often wonder about the X-ray apps that are meant to give you an X-ray and even check for breaks, various conditions etc. But hey, maybe it’s real, I’ve never used one so I couldn’t say. I was brought up at a time of X-ray specs and sea monkeys being advertised in comics so I’m naturally sceptical . . .
Watch the video again. It’s NOT a “forcefield”. It’s a detection system that launches a kill vehicle to hit incoming weapons. Seriously though, Trophy is merely one in a long line of APS (Active Protection Systems). I didn’t know that tanks in WWII were expected to break down every 35 miles. Seems rather low. IIRC the average (or, perhaps, typical common) value was around 100-150 miles. There ARE figures (for various tanks) on the ‘net. I’ll link when I find them again. A LOT of that article is, to say the least, simplistic. Not the most, er, reliable source. For the ugliest tank I’d have to vote for the Vickers Light Tank Mk VI. Here’s the link to a photo of it . . .
As for ugly tanks some of the pre-WWII Russian efforts take some beating. A write-up for this site? Please, please, please, check facts and details before posting it. If anti-tank guns were more advanced – Most anti-tank guns of the period were more than capable of tackling the vast majority of German tanks. and the Allied forces had similar tanks – France not only had MORE tanks than Germany, they had BETTER ones. (As an example one Char B1bis took over 100 hits – at the battle of Stonne – before finally being disabled). such as the lighting war Germany employed – not only did Germany NOT develop “Lightning War” there was no such thing. It was a myth, engendered largely by the collapse of the French (due to morale and command deficiencies as much as anything else), and the ensuing victory was as much a surprise to the Germans as it was to everyone else. Hitler simply cashed in on that victory and made the most of the “Blitzkrieg” myth to foster an air of invincibility for his panzerwaffe. (Sorry to be so picky, but I’ve had getting on for 45 years delving into this stuff). Thanks for the heads up on corrected information Oli. Both myself and Octavian welcome constructive criticism 🙂 In fact, I think we enjoy it lol You definitely aren’t being picky, it helps when someone more experienced can help on a specific subject. You have a lot of experience behind you and it sounds like a great hobby. One of my relatives collects information on bombings during WWII. Someone asked him to trace a bomb that was dropped which killed his grandfather. In the end, they ended up tracking down an actual photo of the bomb being dropped straight on to where his grandfather was stationed, so it was quite an emotional moment for his grandson as you can imagine. I think it’s fun when you specialise and focus on one particular area of knowledge. I think it makes you view things you might already know of, but in a completely different light. I’ve been going through chess tutorials this week for instance, and now the game of chess looks like a completely different game – although the chessboard is still the same. I loved making model tanks when I was younger and I could still get back into model making as a hobby if I had more time. I apologize to any readers and you (Kevin) for the errors. I’ll fix everything whenever I get the time to do so. I posted this article and I take responsibility for the embarrassing and blatant errors. Kevin had no part in it. You were quite right in your comment about the Flashback Trojan virus hitting Macs. It was a case of me not making my opinion clear (which is arguable anyhow) and I’ve learnt from this.